Kilaun was born June 27, 2017 and is out of Koors X Hope. 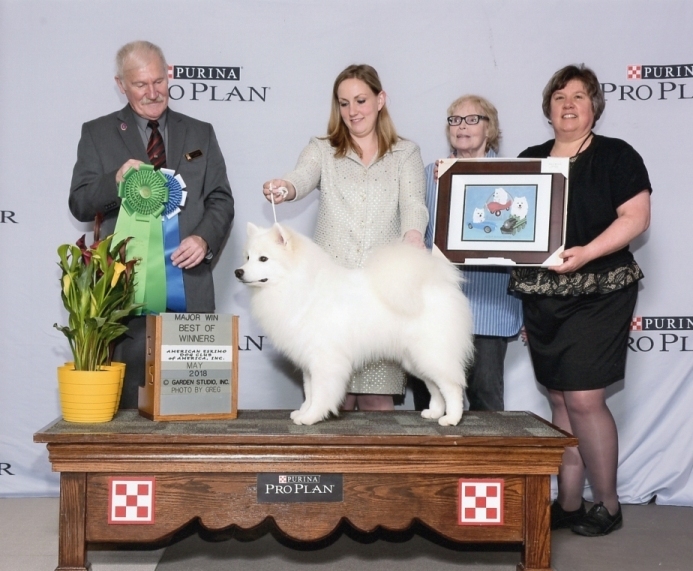 Kilaun earned his UKC Championship in 3 shows April 21, 2018 in Locke NY. Thursday May 3, 2018 Kilaun was entered in the Non Sporting Specialty at the Gateway Cluster (St. Louis) and went BOW for 5 pts. 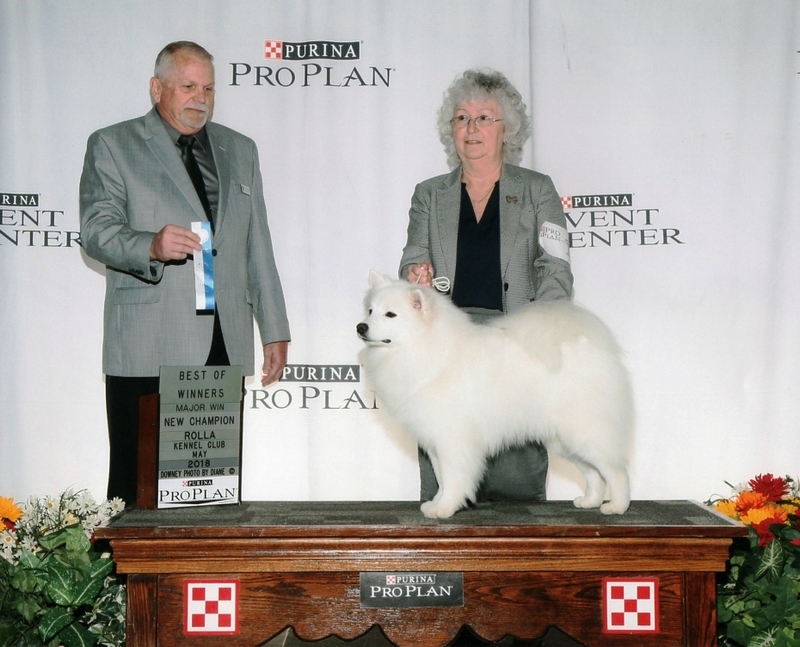 Later that day the AEDCA National was held, where he was entered in puppy sweepstakes then the regular show. I’m thrilled to announce he won the Puppy Sweeps, went on to take Best of Winners, and then Best Puppy inSpecialty. Friday he earned another BOW and completed his AKC Championship in 2 days, 3 shows. Great things ahead for this boy! 2 weeks later he completed his AKC Ch. in 3 shows at the AE National.